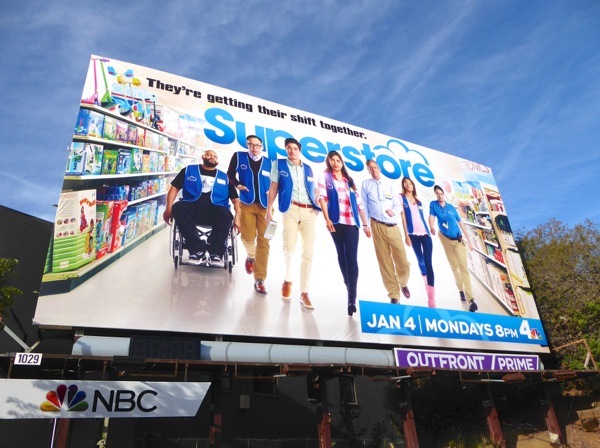 This New Year expect many new comedies and dramas to be vying for your viewing pleasure, like NBC's new sitcom, Superstore. 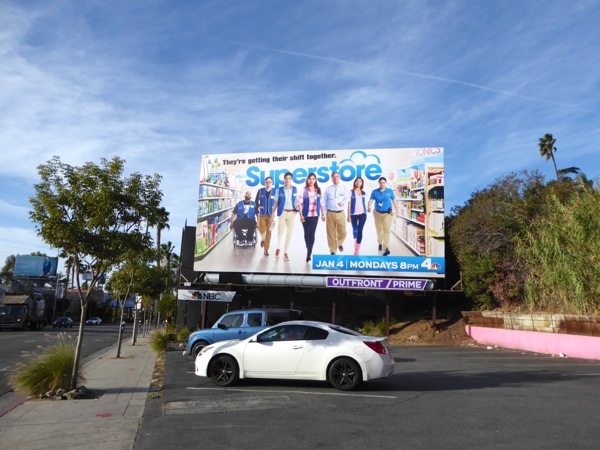 Ugly Betty's America Ferrera headlines a comedic cast at a fictitious Walmart-like megastore called Cloud 9, written by Justin Spitzer (who's no stranger to workplace comedies after writing for The Office). Mad Men and the short-lived A to Z sitcom's Ben Feldman joins the ranks of Cloud 9 as their newest bright-eyed employee, and his first day amongst the longtime store veterans, clueless Summer hires and in-it-for-life managers doesn't go too well. 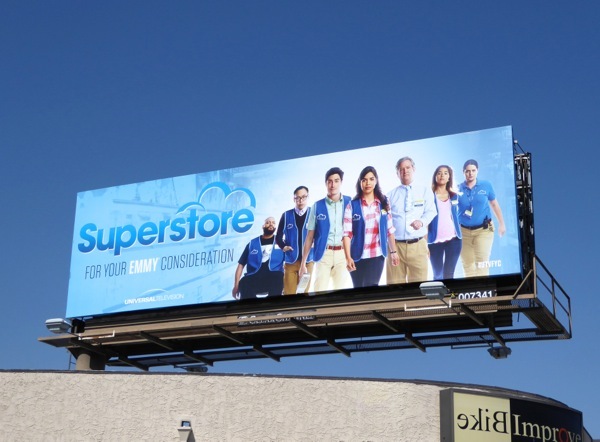 Mark McKinney, Colton Dunn, Lauren Ash, Nichole Bloom and Nico Santos are also on the shop floor to handle the rabid bargain hunters and help with the daily grind of working at this Superstore. 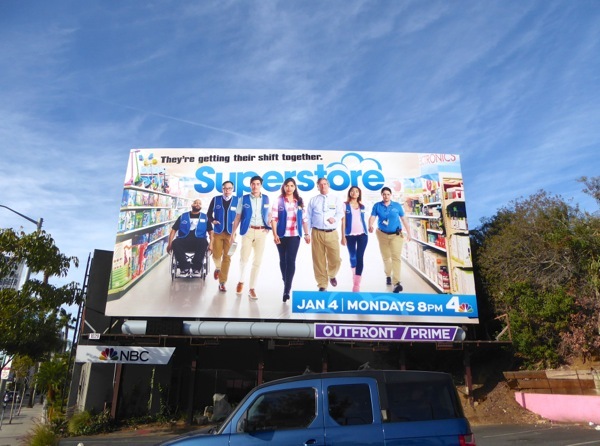 This super-sized billboard for the new NBC sitcom was snapped along West Hollywood's Sunset Boulevard on December 24, 2015. 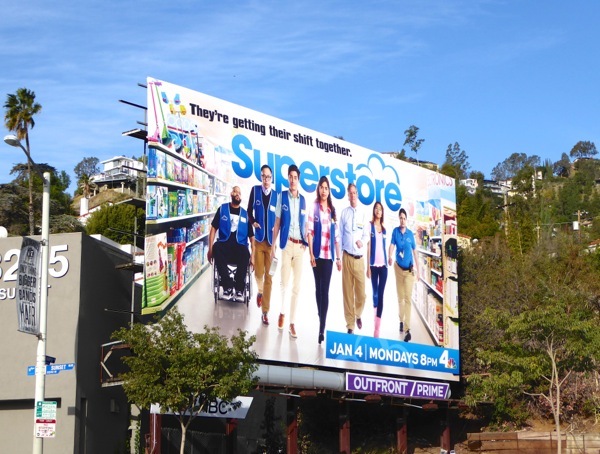 Let's see if viewers mob this new Superstore looking for cheap laughs when the doors open for business on January 4, 2016. 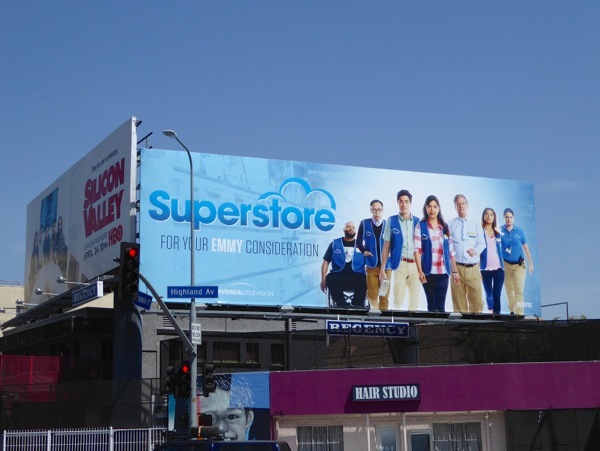 UPDATED: Here's also two examples of the Emmy consideration billboards for Superstore from around the streets of L.A. 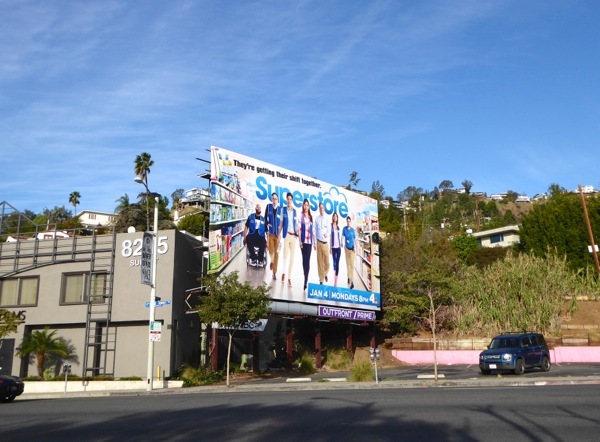 These Universal Television billboards were spotted along Santa Monica Boulevard and Highland Avenue from June 2 to June 7, 2016.